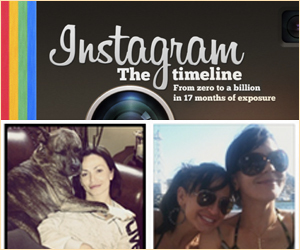 Karina and her Staffordshire terrier dog, Randy were featured in a recent WebMD article. Randy is almost seven years old and weighs 95 pounds, but "He's the biggest teddy bear," Karina says. He was rescued from a shelter and due to a digestive condition, has to be hand-fed. 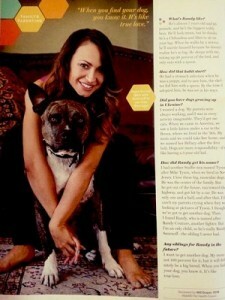 In the article, Karina talks about how Randy got his name and other pets she's had growing up. Of course, Karina and Randy stay fit together with shared exercise routines, but there's always time for games of hide-and-seek and charity events. Karina is doing a lot of traveling this summer. She recently took an incredible trip to the ‎Riviera Maya‬ in Mexico where she hosted a three-day DanceFIT-KS program. The program was part of the ‪‎Karisma Experience‬ by El Dorado Spa Resorts & Hotels at Generations Riviera Maya. After the program, Karina and some of her friends and family spent some time relaxing and having fun. Check out DanceFIT-KS‬.com to learn more about Karina's fitness program. Karina has partnered with Foot Petals to create a special collection of designer insoles that is available now at FootPetals.com. The collection includes exclusive editions of the Tip Toes and Heavenly Heelz cushion styles marked by a high heel logo. This marks the first celebrity collaboration for Foot Petals.